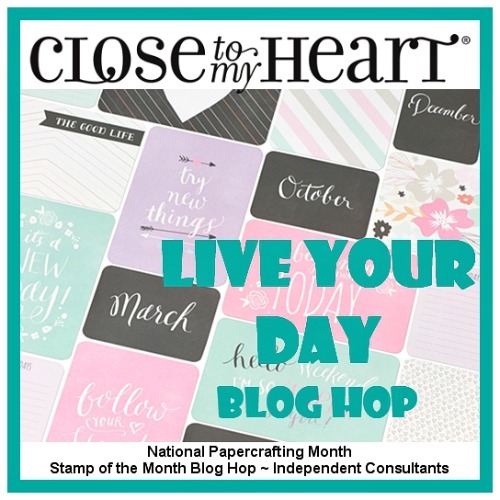 January marks National Papercrafting Month at CTMH and this month we've got a great set of Picture My Life cards as our promotion. These cards were designed to coordinate with our Everyday Life Planner, but this blog hop will show you some other fun ideas and ways to use them! If you're coming from Michele's blog... you're heading in the right direction... but if you're just starting here at my blog that's ok too! I used Pixie cardstock, the blank heart card, and the Basic Fundamentals stickers, plus pink gems. Hope you like my cute little (easy) card! I did trim the 4x6 card down to 5x 3 3/4 to fit. Next up is Tammy so head on over to see what she has created! What a great idea!! Love this! Cute card! Thanks for the inspiration to make greeting cards with them!